These trees need to have full sun and protection from strong winds. This guide is about growing citrus trees. Citrus trees bear a variety of fruits; lemons, limes, oranges, kumquats, grapefruits, etc. For those gardeners in zones 9-11, you can plant citrus trees any time of year, although spring is the best time to plant nursery grown trees outdoors. Gardeners in zone 8 can also plant citrus year-round, as long as they plant cold tolerant types. For those in zones 7 and north, potted citrus can be grown anytime, but needs to be kept indoors when cold temperatures arrive and provided sufficient humidity. Most citrus trees (not all) are self-pollinating so you can harvest a whole crop from just one tree. Sample fruits from stores and markets to determine which cultivar to grow. Trees will start to bear fruit at about 3 to 6 years of age. 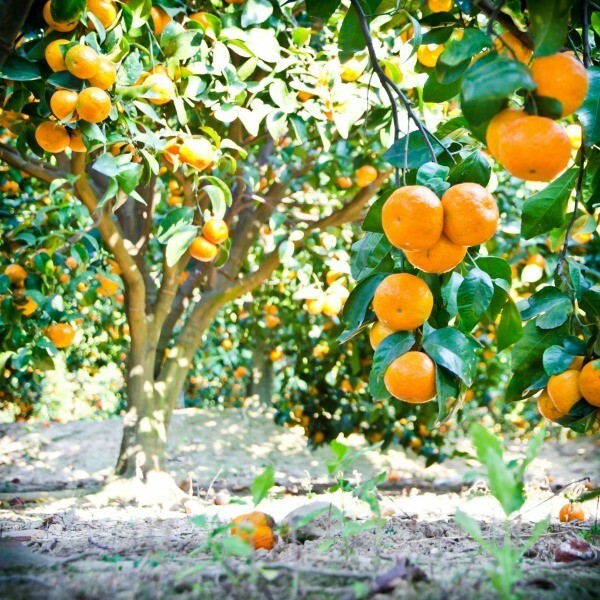 Citrus trees need sites with full sun and protection from strong winds. In areas of extreme heat, they will benefit from partial shade. Soil should be deep, nutrient-rich and well-drained and have a pH slightly on the acidic side (6.0 to 6.5). Avoid low lying sites subject to frost and standing water and soil containing high concentrations of salt. Plant bare-root trees so that the graft unions are at least 6 to 8 inches above the soil level, but so the tree is planted deeper than it was in the nursery container. Spacing will depend on the type and variety planted, but in general trees should be spaced at least as far apart as their mature height. Young trees should be watered deeply once per week, especially during the first season. Spread 3 to 4 inches of organic mulch around the tree after planting, leaving 3 to 4 inches around the base of the trunk bare. Most citrus trees are self-shaping and need very little pruning. Root suckers or crossing branches can be removed as necessary on young trees and mature trees should be kept free of dead, broken or diseased branches. Apply an organic fertilizer to trees once each season-spring, summer, winter and fall. How much will depend on the size of your tree, so consult with the nursery who sold you the tree. Inspect trees once per week for pest problems and signs of disease. To prevent sunscald and pest damage in cooler zones, paint trunks with diluted white latex paint or wrap them with tree tape in preparation for winter. This should also be done to any branches suddenly exposed to full sun as a result of pruning. 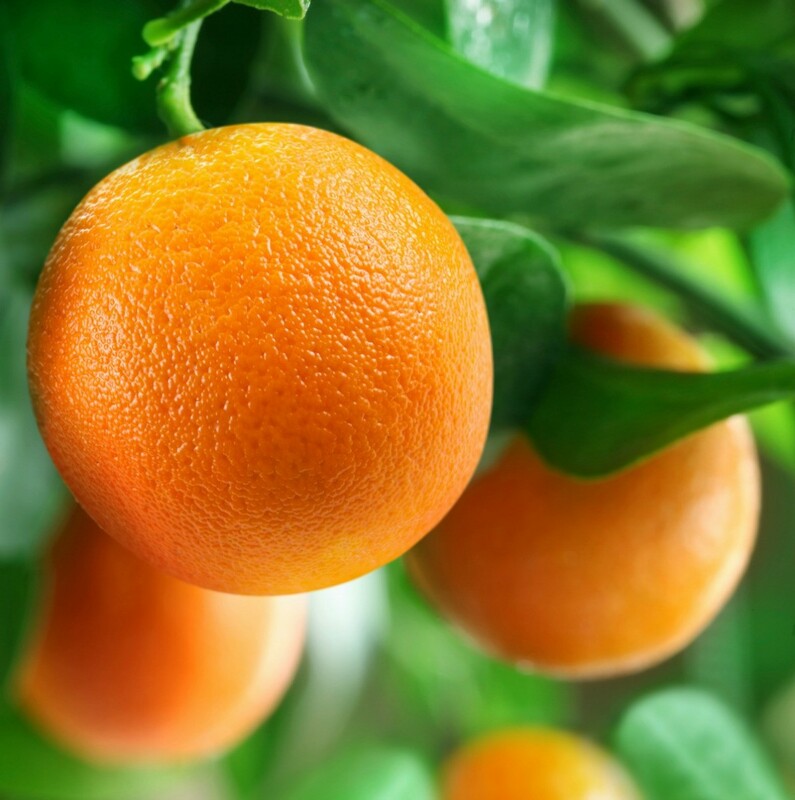 Citrus fruits should be harvested when the fruit shows mature color. Taste testing throughout the harvest season is the only sure way to determine fruit is ready. Remove only what you can consume at one time. Most ripened fruit will keep for weeks (sometimes months) hanging on the tree. Large amounts of fruit can be kept fresh in the refrigerator for up to several months. Can I plant my lime tree 20 feet from my orange tree? Normally orange trees can grow quite tall and have a very large root system. I wouldn't suggest planting your lime tree that close to your orange tree. Each tree needs room for the roots to grow in order to produce a healthy tree. If at all possible find another location in your yard to plant this tree. Is it possible to plant the seeds of an orange to make an orange tree? Absolutely. You will have to wait at least 5 or more years to see fruit. Don't expect the fruit to look or taste anything like the fruit that bore the seed. Tangerine seed are easy to grow, also. The leaves are very scented. It's nice just to walk by a small Tangerine tree. Can I put lime on my fruit trees, especially my citrus trees, and when do I do it? I have been growing a dwarf orange tree indoors for several years. It continues to grow taller and appears to be in good health. The problem is that the branches and the main trunk are the same in diameter. I have to prop it up or the whole plant would be a creeping vine. What can I do to make the tree produce a trunk? How do you take care of a multi-citrus tree indoors?